A hard disk consists of different, partly highly susceptible mechanical and electromagnetic components. These tend to cause malfunctions due to wear or unexpected external influences. 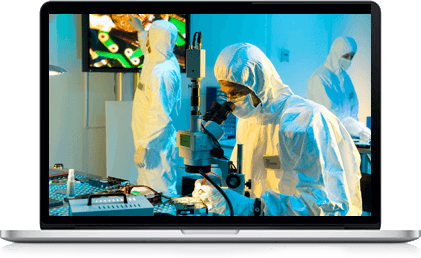 In order to save lost data from a hard drive, you need the right technology, the best specialists, a set of hardware-software tools and the controlled environment of Class 100 clean room – that’s exactly what Stellar provides you with. Modern hard disks are marketed under different brand names and have very different structures, interfaces and storage capacities. Furthermore, different hard drive series also have different and partly unique firmware sets. The hard disk firmware controls all the basic operations performed during the memory process. A single-disk computer system, a multi-disk server, or a storage box such as a SAN or NAS (with multiple physical arrays of hard disks) may have different operating systems (Windows, Linux, Mac, UNIX, etc.). These different operating systems are also susceptible to malfunctions and malfunctions. All these various possible sources of error contribute to increasing complexity of the data recovery process. Stellar Data Recovery is known in the data recovery industry for the best hard drive recovery techniques and the highest success rate. With over 20 years of experience, the best data recovery specialists, self-developed tools, software solutions and techniques, and a class 100 cleanroom with an ISO certificate, we are able to save lost data from all kinds of data carriers. Stellar’s data recovery experts use our innovative technologies to save your important business and personal data, even if other data recovery companies do not believe it. For further information on data recovery, you can contact our consultants at any time by calling (0172) 4655445.